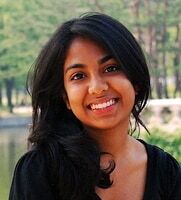 Shanika Gunaratna is a soon-to-be graduate of Northwestern University, with a double major in journalism and international studies. She has worked on the staff of Global Engagement Summit for the past four years. Learn more about how young people are translating their idealism into pragmatic action at www.theges.org. Incorporating for-profit activities into the structure of social good organizations can have amazing consequences. It can, for instance, free these organizations from the maddeningly inconsistent funding cycle of the non-profit world. However Perennial questions remain. Can organizations do good and be profitable at the same time?